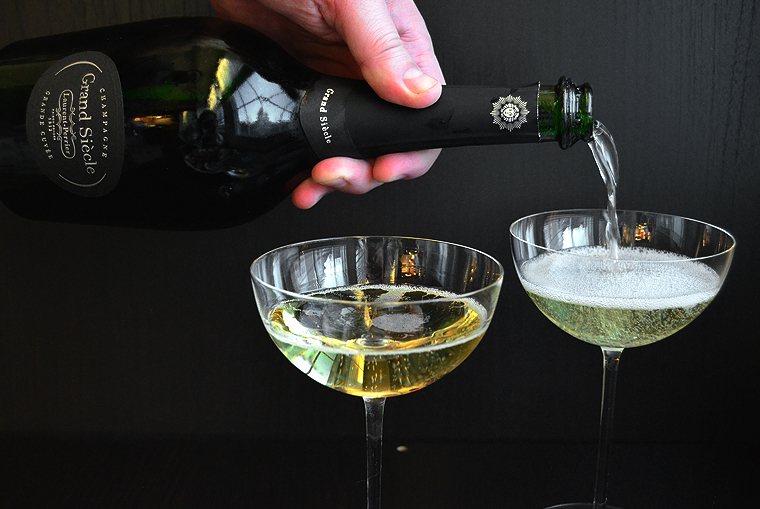 What better way to ring in the New Year than with a glass of fine Champagne? 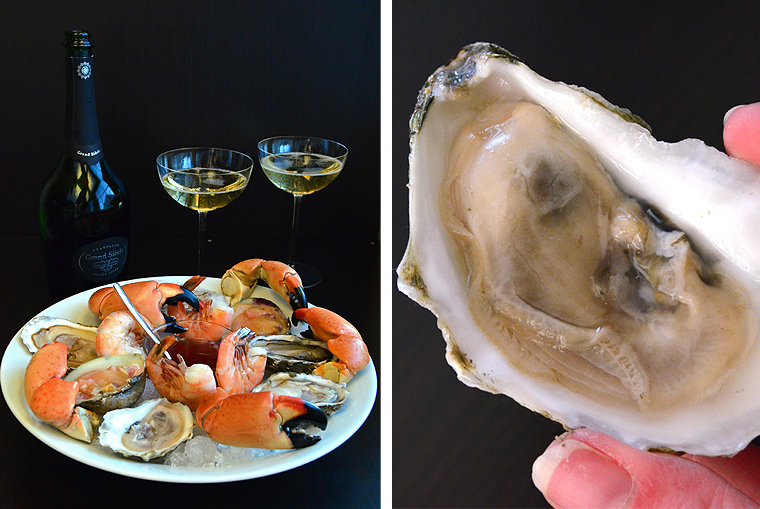 Tonight I’ll be uncorking an exquisite bottle of Laurent-Perrier’s Grand Siécle, and since I think oysters are the perfect indulgence, I’ll be pairing it with an elegant seafood platter or plateau de fruits de mer. Grand Siécle or “grand century” refers to the 17th century, considered by Voltaire to be “one of the greatest centuries of civilisation”; a golden age of French history and culture. It was a century marked by the reigns of Louis XIII ‘the Just’ and the Sun King, Louis XIV, the construction of the palace of Versailles, and the emergence of some of the greatest French painters, architects, and writers. 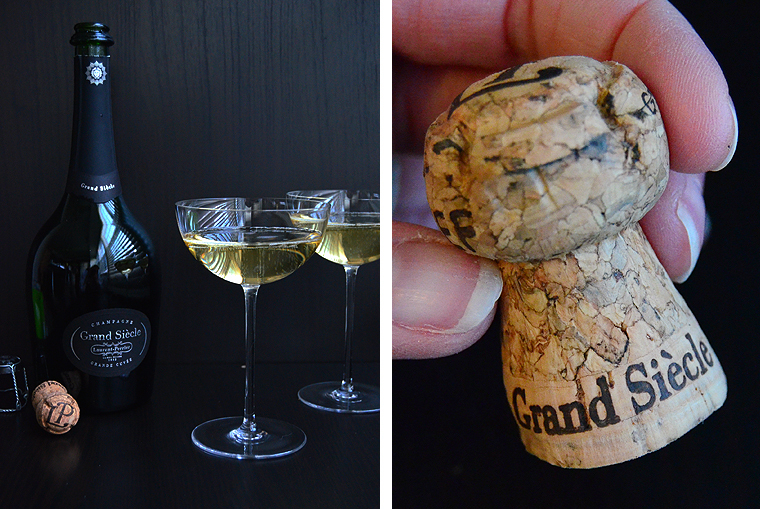 Laurent-Perrier’s Grand Siécle was first released in 1960 with a blend of 55% Pinot Noir and 45% Chardonnay from Laurent-Perrier’s most successful vintage years. The hand-blown bottle is reminiscent of an 18th century design with a long narrow neck, and arrives in an elegant hard box that excludes light and makes a perfect gift. 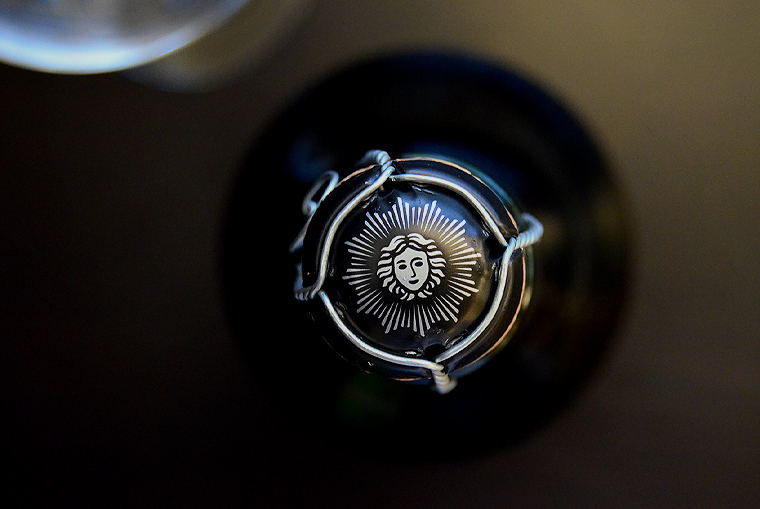 From Laurent-Perrier’s tasting notes, the wine itself is bright yellow hued with subtle fragrances of honey, hazelnuts, grilled almonds and fresh pastry, and is a powerful, well-rounded wine that is both rich and savory with a combination of unique balance, depth, and finesse. 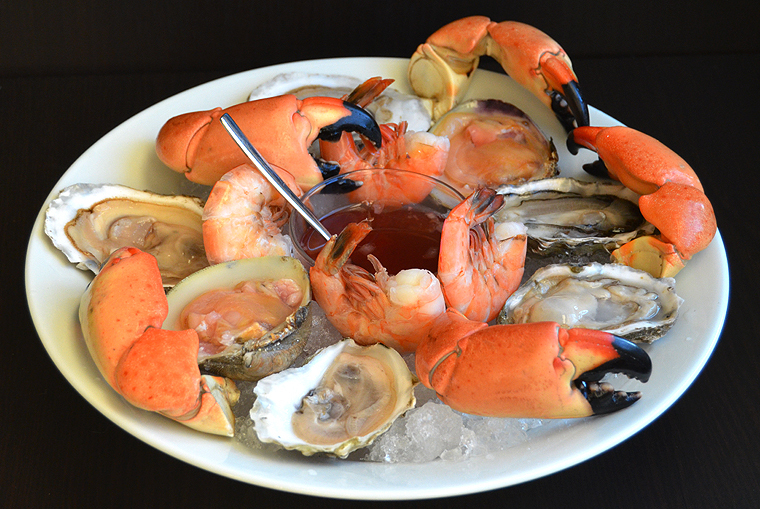 I chose to prepare Chef Thomas Keller’s Plateau de fruits de mer which features oysters, clams, shrimp, and stone crab claws with a French mignonette for dipping. 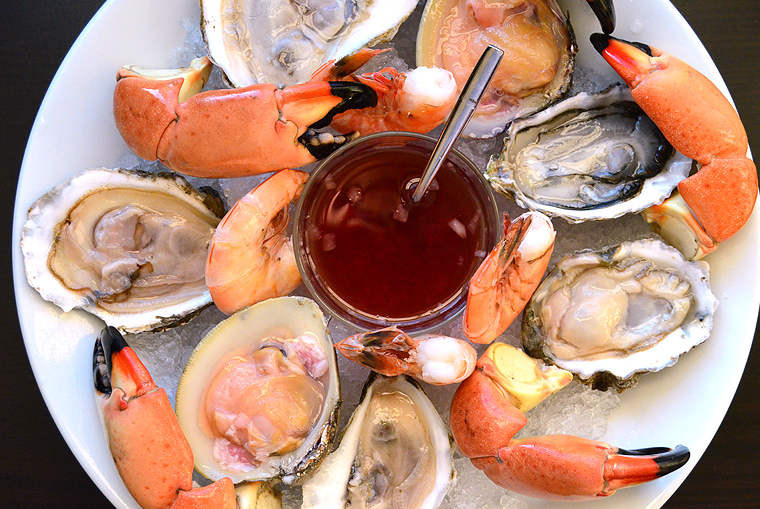 Mignonette is a condiment made with shallots, cracked pepper, and vinegar and is traditionally served with raw oysters. If you’ve never shucked oysters, it can be difficult for first timers, but you could have them shucked at the store before bringing them home if you want to save yourself the trouble. 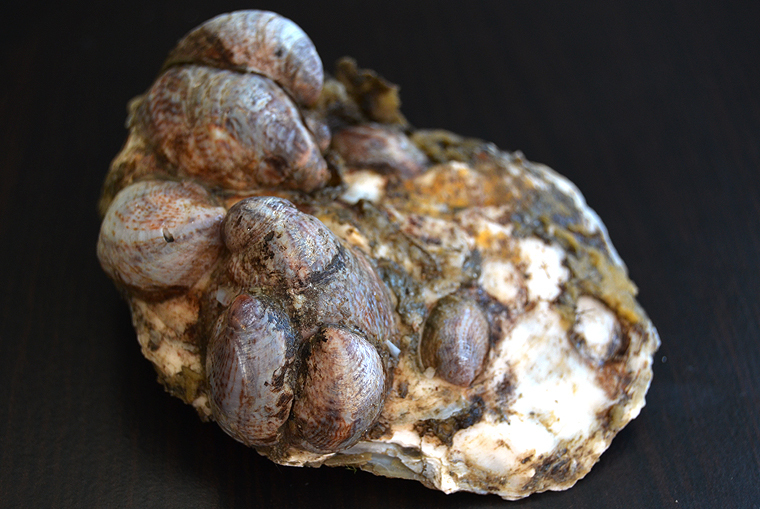 But if you are adventurous and have the proper oyster knife in hand, why not try it yourself? 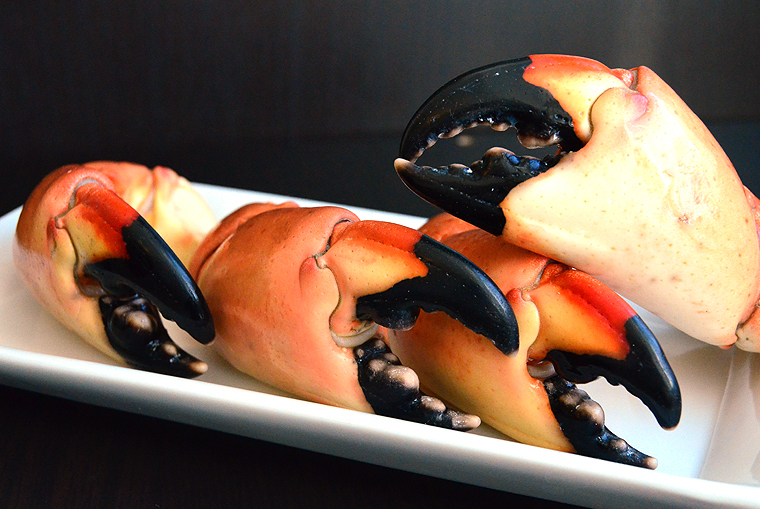 Place a dish towel on a cutting board and place an oyster cupped side down at the end of the towel. 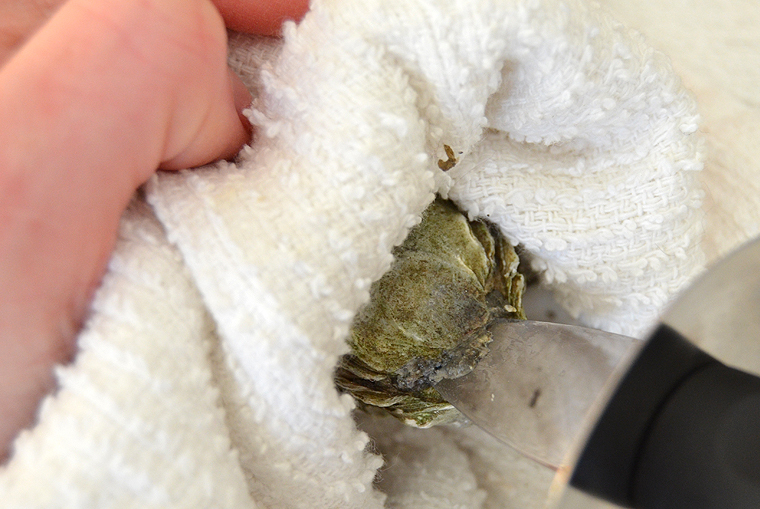 Fold the towel over the rounded end of the oyster, with the hinged or narrow side exposed. 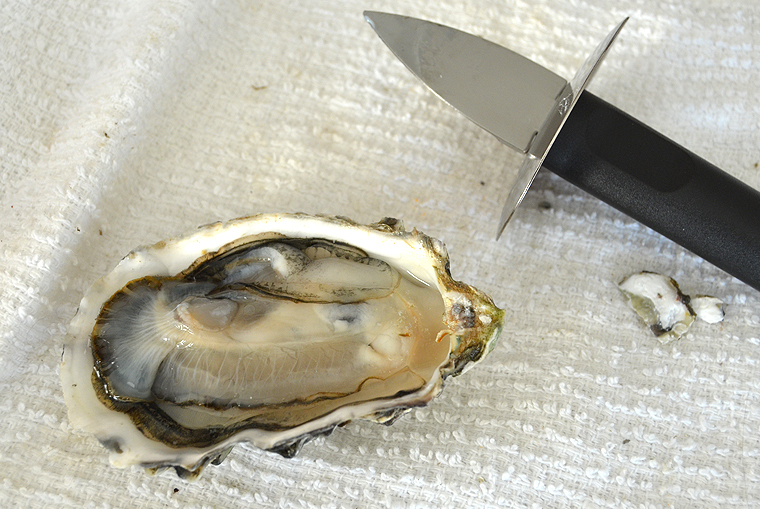 Wiggle the tip of the oyster knife into the hinge and pry up the top shell until you hear a pop, then wiggle the knife back and fourth to loosen the shell. Keeping the knife directly against the top shell, run the blade along the right side to cut through the adductor muscle and release the top shell; remove and discard it. 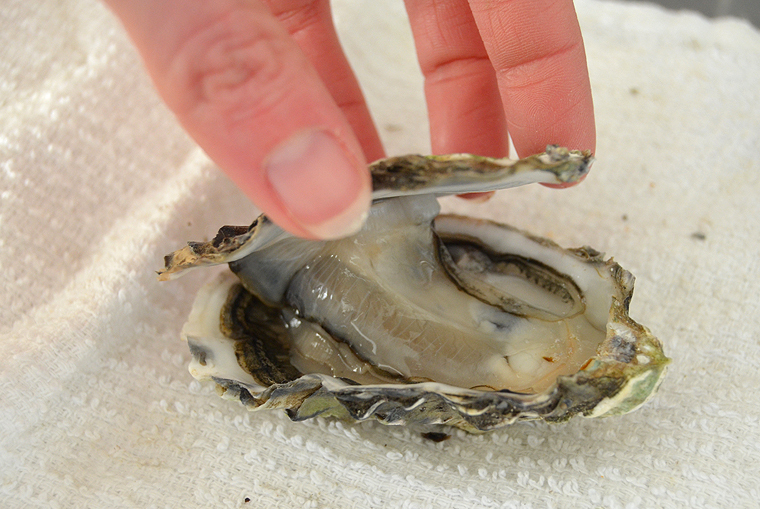 Slide the knife under the oyster to detach the muscle holding the oyster in place, but leave the oyster in it’s shell. Be cautious not to lose any of the juice. 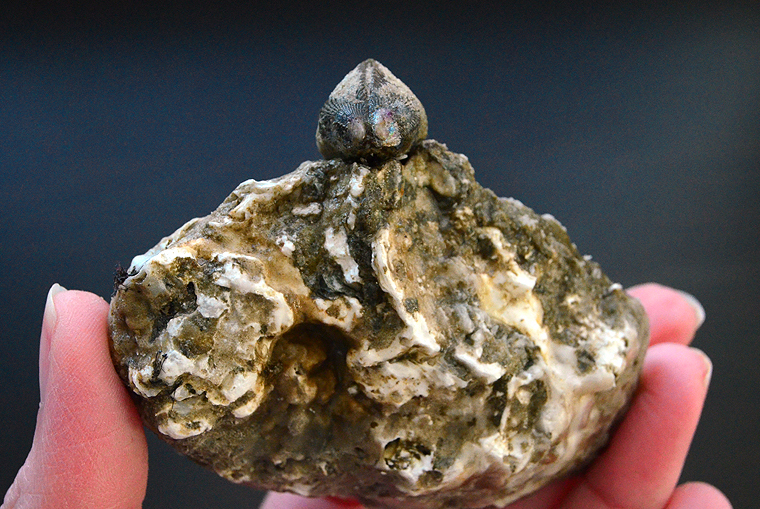 Check for sand or any pieces of shell in the oyster liquor or on the shell and wipe any out with your finger. 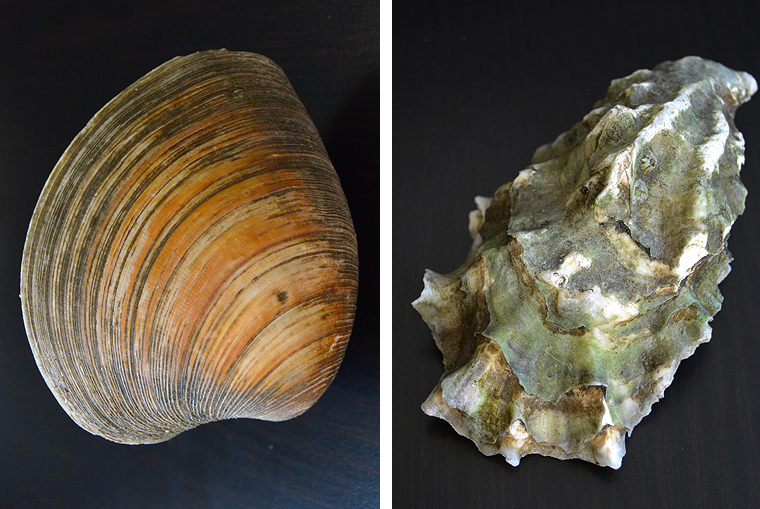 If the oyster liquor is very sandy, it can be discarded; the newly opened oyster will replenish the liquor. 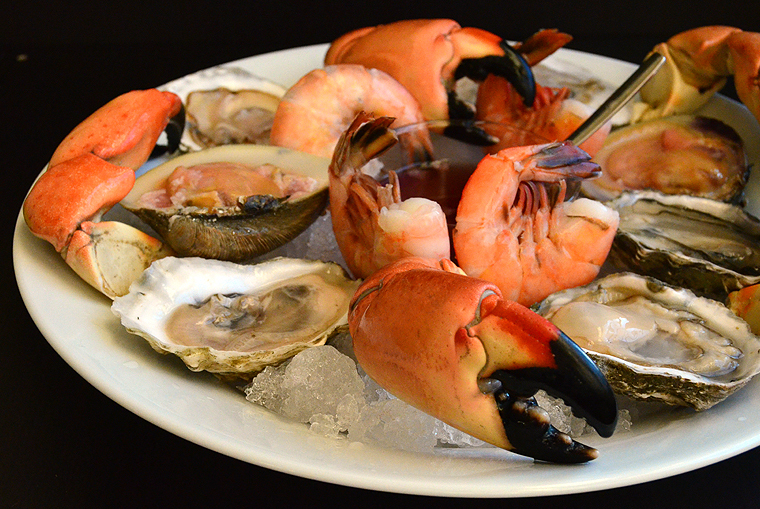 Set the oyster on a tray and repeat with the remaining oysters. 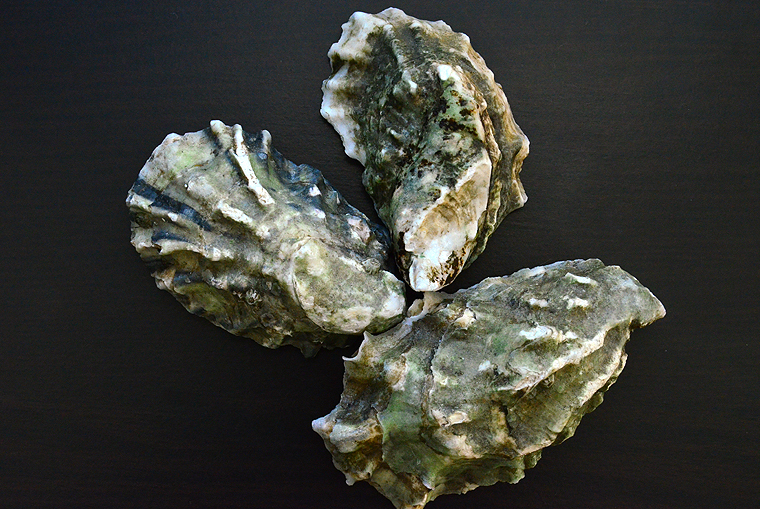 If you’re not serving immediately, the oysters can be refrigerated for up to 1 hour. Flip oyster over and place shell side down on a bed of ice. If you’ve never eaten raw oysters before, try eating one just by itself; this is the way real aficionados enjoy them so they can taste the brine of the sea. 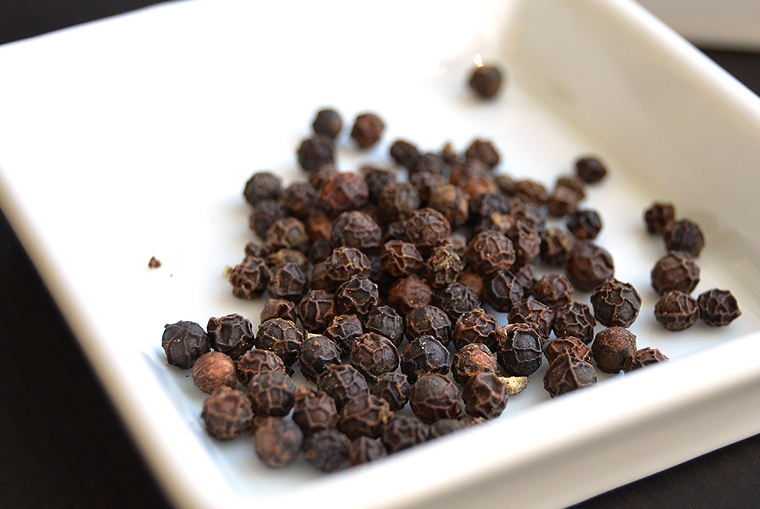 Grind the peppercorns in a coffee or spice grinder. Sift through a strainer to remove the finer particles and transfer 1 1/2 teaspoons of the pepper to a small bowl. 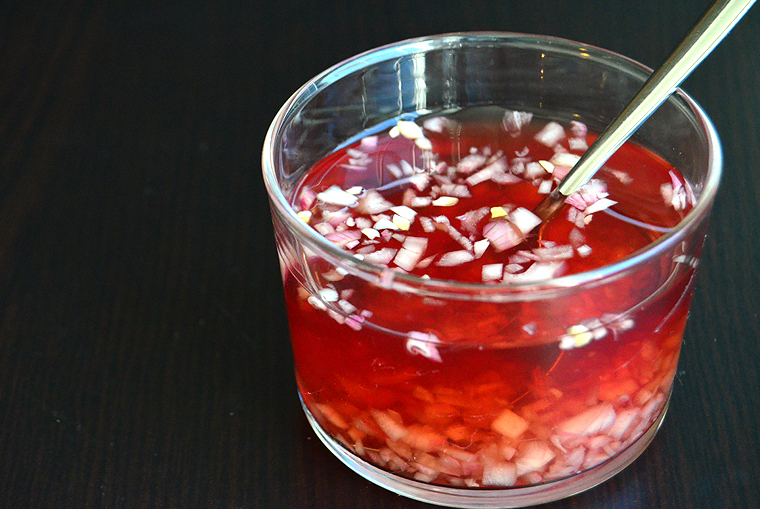 Mix in the vinegar and shallots and rrefrigerate overnight if possible to allow the flavors to develop. 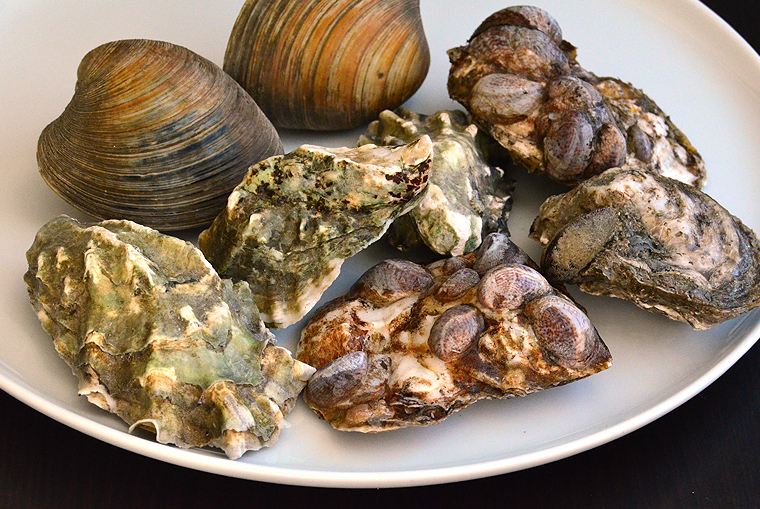 The mignonette can be kept in the refrigerator for up to 1 month. Line a serving platter with shaved ice. 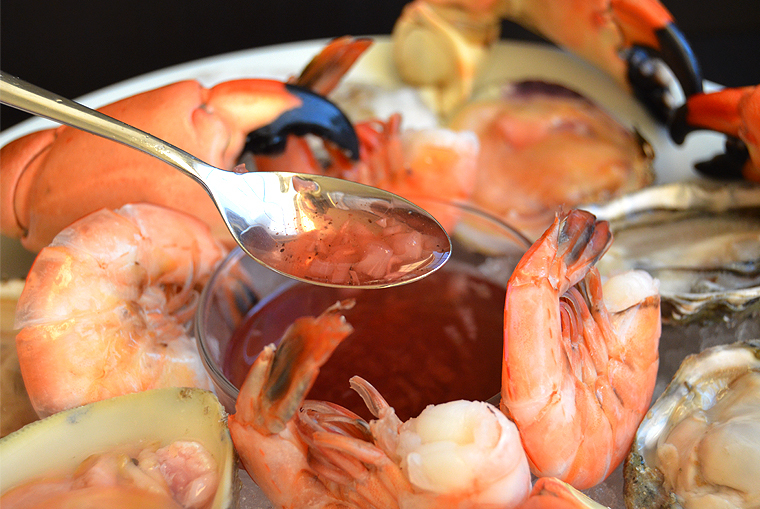 Arrange the shellfish and serve with the mignonette sauce. This entry was posted in Recipes and tagged champagne, Chef Thomas Keller, france, French Champagne, Grand Siècle, laurent perrier, Laurent Perrier Champagne, Laurent-Perrier France, laurent-perrier Grand Siècle, New Years 2014, NYE2014, Plateau de Fruits de Mer, Seafood Platter, The Complete Thomas Keller, Vintage Champagne. Bookmark the permalink.